CLEVELAND - A Trump Organization staff writer says she made a "mistake" in including passages from a Michelle Obama speech in Melania Trump's convention speech. Meredith McIver says she offered her resignation, but Donald Trump rejected it. McIver explained her role in the Trump plagiarism controversy in a statement issued Wednesday. McIver says Mrs. Trump read passages of Mrs. Obama's 2008 convention speech during the writing the process. She says her notes from that conversation made it into the final version. She says she feels terrible for the "chaos" she caused. The Trump campaign has denied accusations of plagiarism, saying the similarities were coincidence. At the Republican National Convention Monday night, Melania Trump delivered a speech that seemed to take parts of Michelle Obama's remarks. And Barack and I set out to build lives guided by these values, and to pass them on to the next generation. Because we want our children -- and all children in this nation -- to know that the only limit to the height of your achievements is the reach of your dreams and your willingness to work for them," Obama said in 2008. "From a young age, my parents impressed on me the values that you work hard for what you want in life, that your word is your bond and you do what you say and keep your promise, that you treat people with respect. They taught and showed me values and morals in their daily lives. That is a lesson that I continue to pass along to our son," Trump said at Monday’s convention. The Trump campaign put out a statement that said in part, "...Melania's team of writers took notes on her life's inspirations, and in some instances included fragments." Trump's campaign manager Paul Manafort said in an interview with CNN that "there's no cribbing of Michelle Obama's speech. These are common words and values." He went on to say, "This is once again an example of when a women threatens Hillary Clinton, she seeks out to take her down. It's not going to work." 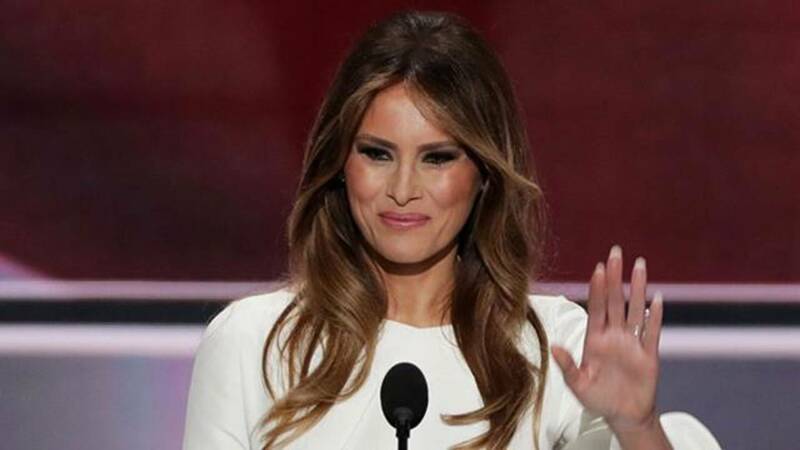 Did Melania Trump copy Michelle Obama’s convention speech?